Globe Star Engineers India Pvt. Ltd.
Super (India) Spares Pvt Ltd has enabled many Indian Industries to go in for Tungsten Carbide Wear parts where previously Hardened Steel and Steel alloys were being used. Various grades and Tungsten Carbide Sintered Wear Parts for metal forming and Wear resistant applications are available in the following range. 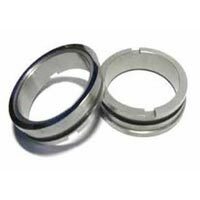 SSIPL Tungsten Carbide Seal Rings are used as Mechanical Seal faces in pumps, Compressors and Agitators. Super (india) Spares Pvt. 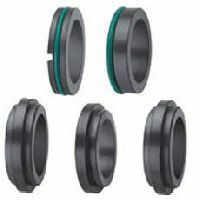 Ltd.
Seal face: Silicon carbide, Carbon, Tungsten carbide, Secondary seals: FKM, EPDM, FFKM, PTFE, Shaft diameter: d1 = 25 ... 100 mm (Other sizes on request), Temperature: t = -20 °C ... 200 °C (Check O-Ring resistance), Sliding face material combination SicSic or TcSic . We are offering tungsten carbide seals: manufacturer & supplier of tungsten carbide products & tungsten pellets & wear parts. 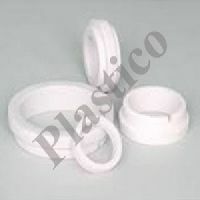 Our product range also comprises of industrial ceramic products and silicon carbide products. Tungsten carbide Seal Faces is very versatile seal face like Silicon Carbide.it is widely used seal faces material with high wear resistance, high fractural strength, high thermal conductivity, and small heat expansion co-efficient. We provide service of taking necessary physical dimension of equipment at customer’s site followed by installation and running trials services. Inventory levels of Mechanical seal and spares which are manufactured by us are maintained to meet the customer’s requirement. Globe Star Engineers India Private.. 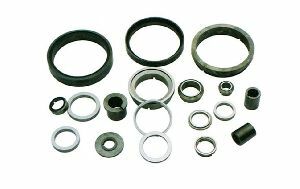 Features : Mechanical seal rings as per standard and special as per customer requirement,Seal rings with Cobalt as well as Nickel binder. 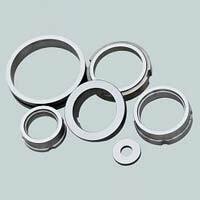 Silicon carbide seal rings are widely used in Mechanical seals. It is used for Stationary face and Rotary face. Silicon carbide is available in two combos... Reaction Bonded Silicon Carbide (RBSiC) and Sintered Silicon Carbide (SSiC). 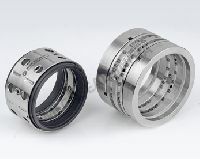 The Series 401 is a single conical unbalance mechanical seal.These type of seals are dependent of shaft direction of rotation. Clockwise rotating Shaft Required Right Handed Spring & Anticlockwise rotating Shaft Required Left Handed Spring. The Rotating Shaft transmit the torque to the spring. This seal are easy to install. Silicon Carbide Seal Faces is the hardest seal face material with excellent abrasion resistance, high thermal conductivity and low coefficient of friction.It also retains its strength at temperatures as high as 1400°C and offers excellent wear resistance and thermal shock resistance.